We now have the first three months of data uploaded on www.ukcrimestats.com and I realise that not everyone has the patience to work their way through a lot of tables to get the big picture. So that’s why we produced this first report which contains the top 10 results for the different combinations over the first quarter of data. For more results than the top 10, go to the website and export up to 1,000 results to Excel. UKCrimeStats is the only website that can give you this kind of cumulative analysis. “Why is Great Moor Street in Bolton the highest violent crime on or near street in England and Wales? The official data feed from www.police.uk belonging to Greater Manchester Police says it is. If you’d like to check, please download the official file http://crimemapper2.s3.amazonaws.com/frontend/crime-data/2011-02/2011-02-greater-manchester-street.zip . The problem appears to be the accompanying sentence to nearly every crime on or near Great Moor Street which says “CrimeMapper has moved this record to a location that is the system’s nearest available street to the centre of the policing foot-beat where the record was originally plotted”. We don’t know why they’ve done that, perhaps the location records were lost? 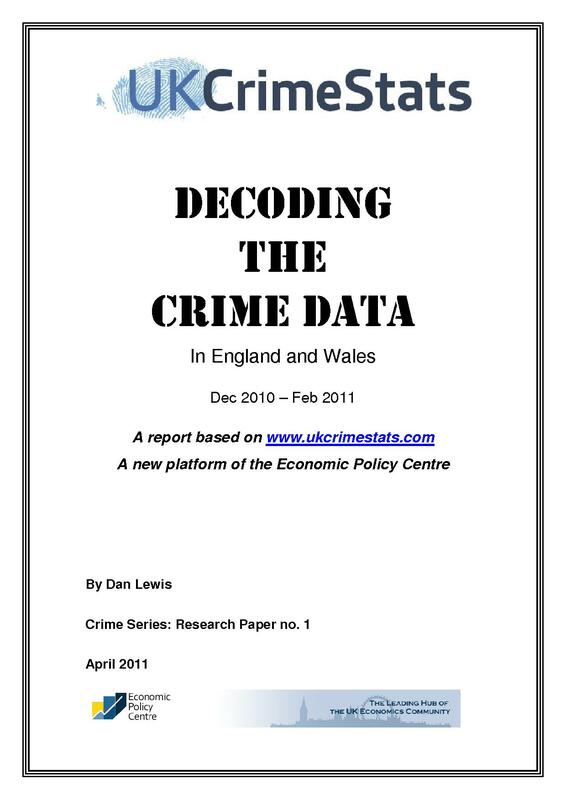 For all that, we are confident that UKCrimeStats is by far and away the most accurate, open and analytical website for looking at the crime data in the UK. And as the monthly data continues to accumulate and the Police and RKH get better at improving its quality, UKCrimeStats will be able to give an even more precise picture of what’s going on.